Importer: Energizer, of St. Louis, Mo. Hazard: The night lights can overheat and smoke, posing a burn hazard to consumers. Incidents/Injuries: Energizer has received nine reports of the night lights overheating, including three reports of minor property damage. No injuries have been reported. 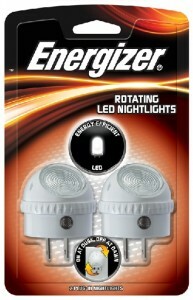 Description: This recall involves Energizer LED rotating night lights. 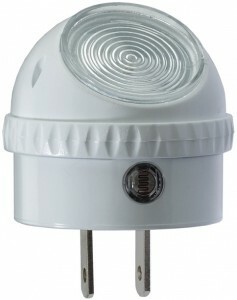 The night lights are white and have an LED light inside an adjustable dome on top. The night lights measure about 2 inches wide by 2 ½ inches long. Model number “NLPLROT” and date codes between 0110 (for January 2010) through 0111 (for January 2011) are included in this recall. The model number is stamped onto the side of the night light. The date code is stamped in a circle on the back of the night light. The arrow points to the month of production (i.e. 12 = December) and the number positioned on either side of the arrow represents the year (i.e. “10” = 2010). Sold exclusively at: Target stores nationwide from February 2010 through July 2012 for about $6. Remedy: Consumers should immediately stop using and unplug the recalled night lights. Contact Energizer for instructions on returning the night lights for a $7 coupon towards the purchase of an Energizer product.